Welcome! I gotta tell ya – I am so excited about today’s projects and I hope you like them. I show how to take regular ornaments and change them into mini masterpieces with glitter and/or alcohol inks. These are great options for inexpensive handmade gifts! There are many ways to decorate simple ornaments to turn them into little masterpieces. Today I share my favorites. A few of the ornaments were made with glitter… and few with alcohol ink… and a few with both. On my first ornament, I white heat embossed snowflakes from the Hero Arts Stacking Snowflakes Stamp Set (EH | HA) and added gemstones with strong liquid adhesive. I also added a small Hero Arts Infinity Tag Dies (EH | HA) tag stamped with a “be merry” sentiment from the Hero Arts Winter Holiday Messages Stamp Set (EH | HA). I plan to write the recipients name on the back and then tie this to their gift for a fun keepsake tag! My next ornament show a mix of fine and not-so-fine glitter on the inside. This adds to the sparkle! I white heat embossed the “Peace” and green heat embossed the pine images from the Hero Arts Peace Love Joy Stamp Set (EH | HA). I added red berries with Tonic Nuvo Drops. I also added a tag using the Hero Arts Infinity Tag Dies (EH | HA) and Hero Arts Winter Holiday Messages Stamp Set (EH | HA). Here you can see the white snow glitter inside. You can also mix different colors of glitter inside of ornament. Here I used teal glitter, silver glitter, and star glitter! Swoon. I again added a white heat embossed “peace” and gems. My last glitter ornament is super simple… and I think I like it that way! I again used silver and teal glitter inside… but this time white heat embossed “blessed” from the Hero Arts Winter Holiday Messages Stamp Set (EH | HA) on the outside. Alcohol ink is a lot of fun to use on ornaments because you get different looks every time. For most of the ornaments, I applied the alcohol ink to the outside. Once dry, I sprayed it with a clear protective spray so it wouldn’t be damaged over the years. For my first few examples, I first coated the inside of the ornament with white acrylic paint and let it drain and dry. 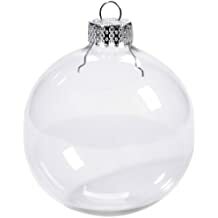 This gives me a white glass ornament that I can add color to. You could instead buy white glass ornaments and skip this step! This ornament shows the wonderful colors you can get with alcohol inks. (Be sure to watch the video for more info on how to apply the inks.) And it only took a minute or two! Once it was dry, I sprayed on a protective coating and heat embossed “blessed” from the Hero Arts Winter Holiday Messages Stamp Set (EH | HA) . This really will stand out on the tree! On this one, I added metallic mixatives to the alcohol inks for a bit of silver. Here, I rolled my inked ornament onto an inked Hero Arts Figure Eight Stamp (EH | HA) and gold heat embossed it. My last few ornaments combine alcohol ink and glitter together. This green ornament actually has glitter on the inside. I filled it with white glitter as I mentioned doing above. And then I applies alcohol ink to the outside. This may be my favorite technique yet! My last ornament is another favorite. Here, I put a few drops of different colors of alcohol inks into the empty ornament and sprayed a bit of canned air inside to move it around. I then put it clear glitter while it was still wet. The glitter sticks and you end up with a lovely ornament. And everything is protected inside. Recently my friend Chari Moss made glitter ornaments that she turned into cute critters. Lila and I will definitely be making these! Check out the video HERE. Check out THIS video to see how to make paper ornaments that you can include on a card. HERE I show how to make shaker ornaments. THIS video shares more on the basics of alcohol inks. Today’s project is part of the Ellen Hutson 12 Tags of Christmas With a Feminine Twist! This is an annual 12-day event with two crafters participating each day. Today is Day 1 and Carolyn Peeler and I are both using alcohol inks. (My projects are ornaments that I plan to use as tags on gifts.) You can see her project HERE. 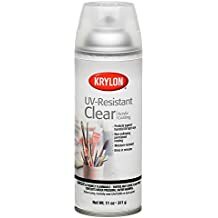 Want to find the products I used? I have listed them below. (Compensated affiliate links used at no cost to you. Thank you for your support! Affiliate and product disclosure can be found here. All products were personally purchased except the products Hero Arts and some of the alcohol inks which were received from the company with no expectation. As always, this post was NOT paid for or sponsored.) 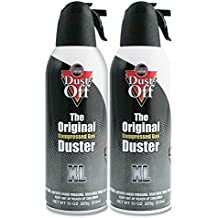 Click on the icons below each product picture to go to a favorite store. What fabulous ornaments! I LOVE this idea. Makes a great gift, too. What a wonderful idea. I’ve made the glitter ornaments and done the marbled paint inside but I haven’t thought about the alcohol ink on the outside. WOW! What a fun technique … such cool effects. Love your ornaments for the tag challenge! These ornaments are absolutely stunning! Thanks for the awesome video on how to make these beauties! Very pretty. 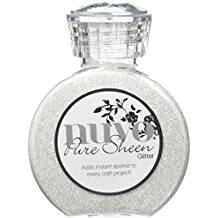 I am interested in your comment that glitter is bad for the environment. As crafters we need to be extremely careful as most of the things that are recommended for use are very bad for the environment. Disposable everything. Tape runners, disposable plastic cups, coffee filters, every thing that comes in a plastic bottle or box the myth is that some of these things can be recycled, however very little gets recycled and we are drowning in rubbish, things that are used for a moment and discarded. As adults we will probably be dead before the catastrophe really hits but it is the children of today that will reap what we have sown. Crafting environmentally is possible but you need to think carefully before your next purchase and of course adding a lot of foam tape or foam sheeting makes cards that may have been able to be recycled unsuitable for recycling. We need to be much more thoughtful for the planet which sustains life. I make ornaments for my grandkids every year and this would be a great one to do. Love these! i want to try. Gorgeous ornaments! I didn’t know that glitter wasn’t environmentally friendly… good to know. Wow these are gorgeous! All of them! Thanks for the inspiration! I love the alcohol ink with glitter!! So, so pretty! Thanks for your wonderfulness! WOW! Just gorgeous!! Hope I have time to try making some of these before the holidays arrive. Thanks again, Jennifer – for all your wonderful ideas, creations, tips & tricks!! WOW Jennifer! You created some fantastic ornaments here! You always inspire me and I wish I had some blank ornaments to make this project with my kids! Off to Amazon to get supplies–but first, thank so much for sharing these spectacular creations with us. Did you have trouble getting the stamp onto the ornament to emboss the sentiments? I really like all the colors that you did and especially the glitter! What great keepsakes for your family/friends! I DID need alcohol inks!!!! Thanks Jennifer for talking me into these. You are an inspiration! These are so pretty and sparkly! more alcohol ink magic! this is such a fun project! Another idea that I never would have thought of without you, Jennifer! I love those ornaments. What a great idea. I love this idea!! Have a question about the alcohol ink and glitter in the inside of the glass ornaments, does it fall off after time or is it permanent? 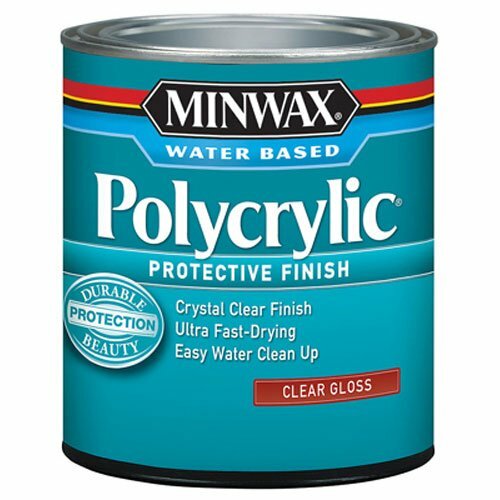 I had a look and from the UK it is quite hard to get hold of polcrylic gloss, is there an alternative that you would recommend the glitter effect? Wow those came out really nice! Thanks for sharing them. I was trying to do that but I just bought a couple plastic ornaments to play around with and they didn’t come out so well. I will try glass next time.